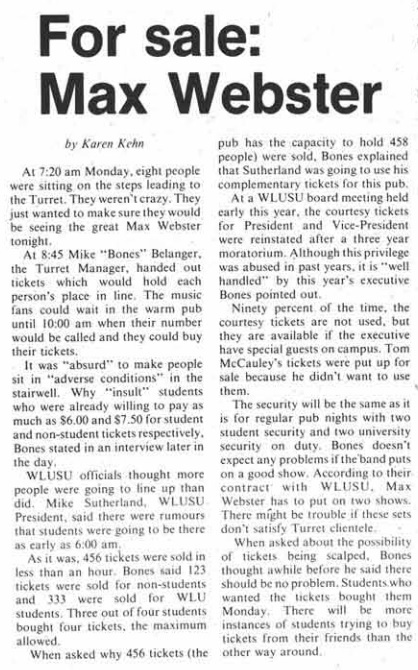 This gig at a Wilfrid Laurier University pub is chronicled in the second article from the school's weekly magazine "The Cord" seen below. 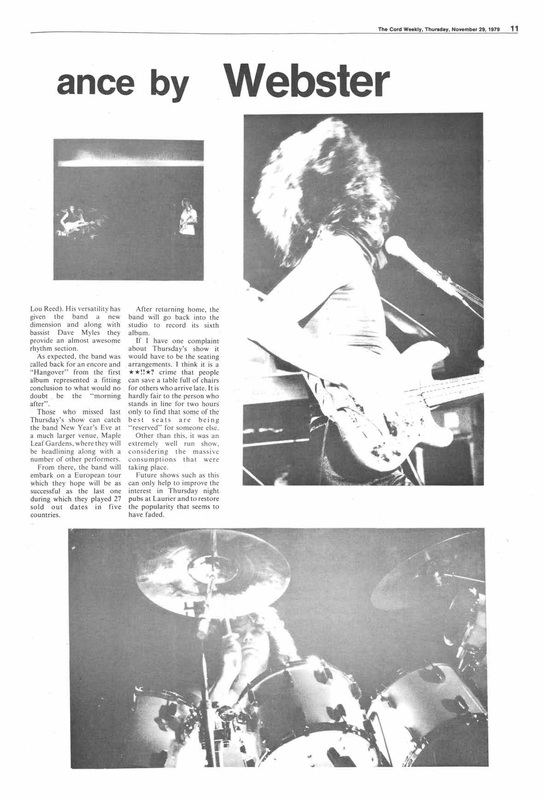 The first article suggests two shows were played. 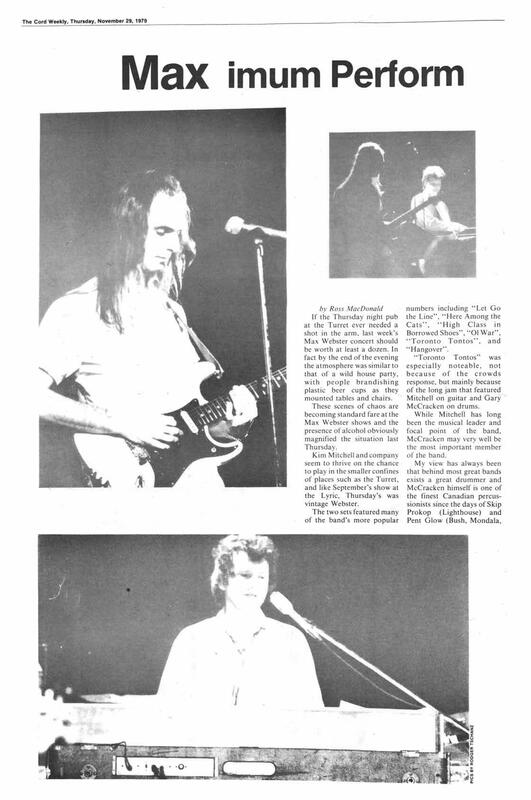 Perhaps the most interesting part of the piece is where it opines that Gary McCracken is the most important member of the band. The news of the band's thwarted headlining European tour has not yet hit by this point.